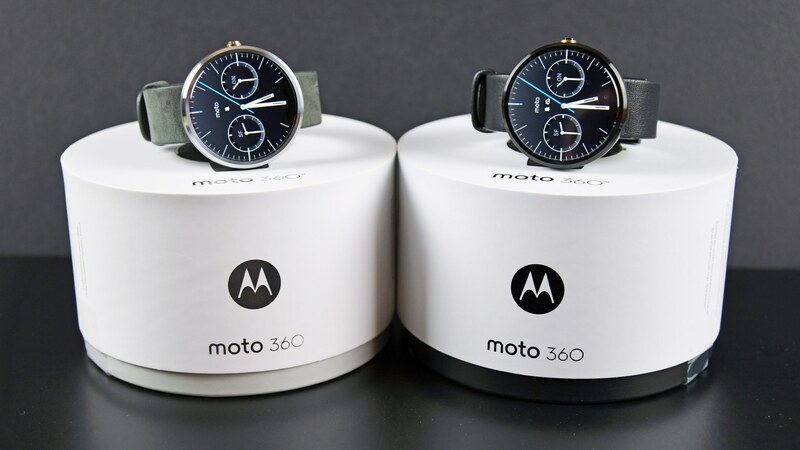 Motorola is doing all it can to promote its latest Moto X, the Moto X Pure Edition, with the company now clearing out its 2014 Moto 360 smartwatch lineup – and posing the now two-year-old smartwatch as the new prize to win in the company’s latest “buy one, get one” deal. Now through February 19th at 10:59AM Central Time (or 11:59AM if you’re on the East Coast), you’ll get the Moto 360 for free when you purchase the 64GB Moto X Pure Edition ($499.99 retail price). In other words, buy a $500 smartphone and get a now $200 smartwatch for free. This seems to be a deal, though getting $200 off and having to pay $500 doesn’t quite qualify as the best of both worlds. Still, this may help someone who doesn’t want to visit Amazon, Best Buy, or some other retailer and pay anything around $200-$250 for the first-generation Moto 360. Keep in mind, too, that Motorola only has this deal as a full-price buy: you must buy the 64GB Moto X Pure Edition and pay the full $500 if you intend to get the free Moto 360 smartwatch. This deal doesn’t seem to leave room for two-year agreements or carrier contracts, seeing that Motorola’s Moto X Pure Edition is one of the only Motorola smartphones in the US that has been updated to Android Marshmallow. In the final analysis, we think that Motorola wants to see these first-generation Moto 360 smartwatches finally fly off the shelves, but we wish Motorola would place them back in the Google Store with the $99.99 price tag that made them hot to buy at Christmas. The Huawei Watch could always use some competition. For those who want to take advantage of this deal, you now have less than two days to do so. Get on it and don’t delay if you want to claim your free Moto 360.